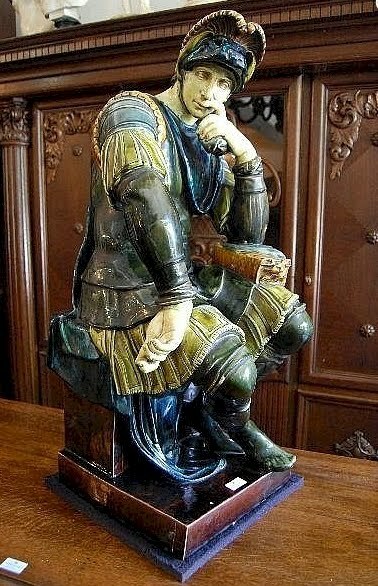 Rare large antique Sarreguemines majolica figure of Lorenzo de Medici 90cm high. Circa 1880. Impressed to the back Sarreguemines. 2nd December 10am to 5pm. 3rd December 10am to 5pm. 4th December 10am to 11am.